The Granite State is home to quaint towns, historic landmarks, vast wilderness, New England’s highest peak … and lots of granite. A constant stream of visitors descends on New Hampshire in the fall, when the air is fresh and the leaves explode into a riot of color, but the state offers plenty of things to do year-round. Winter sports are popular, while the beautiful Lakes Region and its abundant fresh air beckons city-dwellers in the summer. Experience real New England charm and learn about colonial American history in all parts of the state. 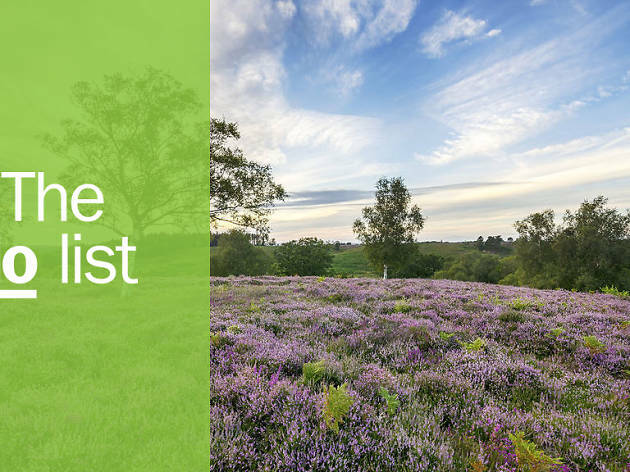 Whatever time of year you’re there, you’ll be well-entertained with these top activities. 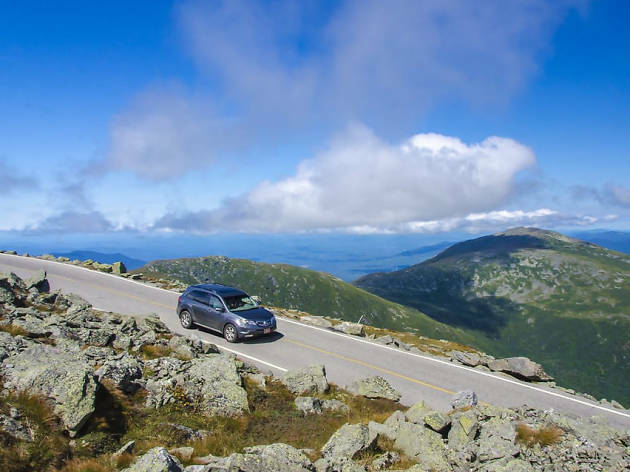 What is it: 7.5-mile road up the highest peak in New England. Why go: While Mt. Washington is known for unpredictable weather and record-breaking wind speeds (230-plus mph) at the summit, it affords spectacular 360-degree views from the top. The hike to the summit is rewarding, but you know you’d rather drive, and fortunately there’s the Auto Road. 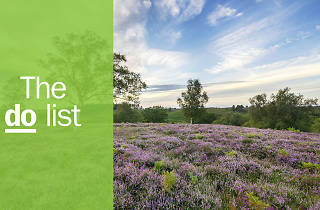 Drive yourself or book a tour and enjoy stunning scenery on the way up. The road opens at 4am in season for sunrise-seekers. In winter, consider a SnowCoach tour for a sub-arctic adventure. What is it: One of five historic trains running along scenic routes through New Hampshire. 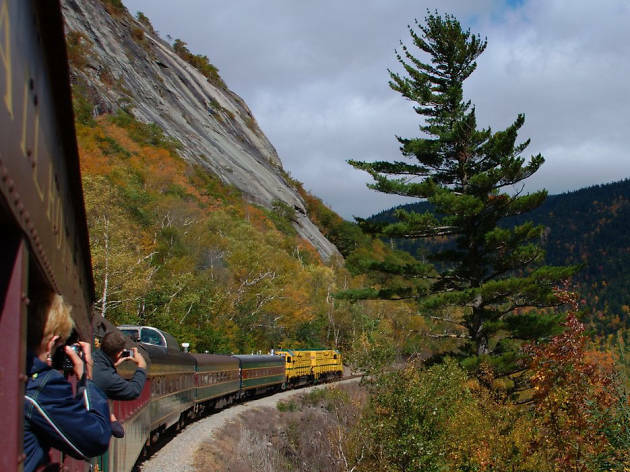 Why go: New Hampshire has many options for scenic rides on historic trains, including the popular Cog Railway up Mt. Washington. The Notch Train, part of the Conway Scenic Railroad, is a five hour-plus journey past bluffs, ravines, and mountain vistas, and you’ll cross several historic trestle bridges. You’ll hear live commentary including history and folklore along the way. The elegant dining car offers exceptional meals alongside dramatic vistas. 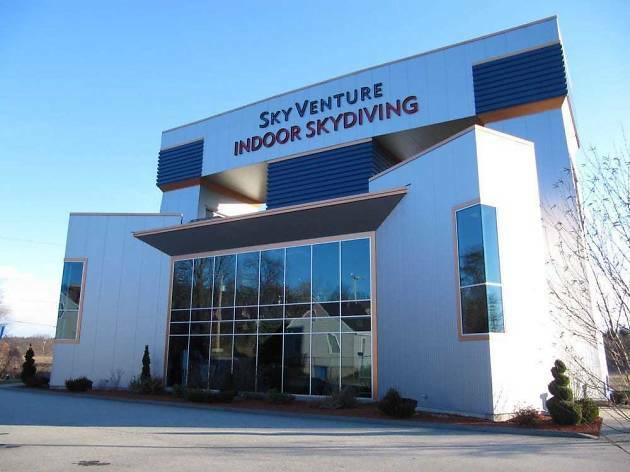 What is it: Nashua’s indoor adventure facility, featuring surfing, rock climbing, and a wind tunnel. Why go: Want to surf but not cool with sharks? SkyVenture has North America’s largest indoor surfing tank. Not ready to jump out of an actual plane? Check out the wind tunnel and feel like you’re flying. You can also get your adrenaline pumping by climbing the rock wall or tumbling around the Fishpipe water ride. After you’ve survived the attractions, unwind with a drink at the tropical cafe on-site. What is it: Charming port city with a historic waterfront, 17th and 18th century buildings, and an eclectic mix of shops and restaurants. 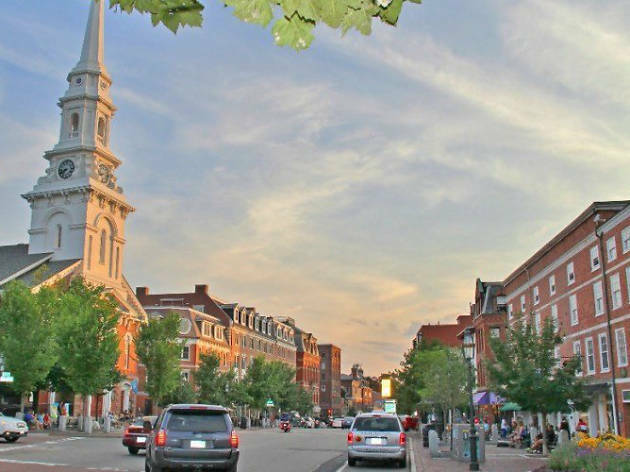 Why go: Just across the Piscataqua River from Maine, Portsmouth mixes the old and new into a compact, walkable city with a friendly vibe. Visit the 10-acre, outdoor museum Strawberry Banke for a history lesson before strolling up and down streets packed with unique shopping, dining, and cultural activities. Elegant restaurants like Massimo mix with kitschy cafes like the Friendly Toast. Check out the Redhook Brewery for local beer, or Row 34 for fresh seafood. The theater and nightlife scene is strong too. What is it: The annual color-changing event that brings the “leaf-peepers” out in droves. Why go: Usually beginning in October, leaves start to change from green to blazing reds, yellows, and oranges. Timing and location are key to the best views. Keep an eye on official online foliage trackers. You’ll find amazing views at the top of New Hampshire’s tall peaks, including Mt. Washington, and driving along the 34-mile Kancamagus Scenic Byway through the White Mountains is an excellent choice for taking in the incredible colors. 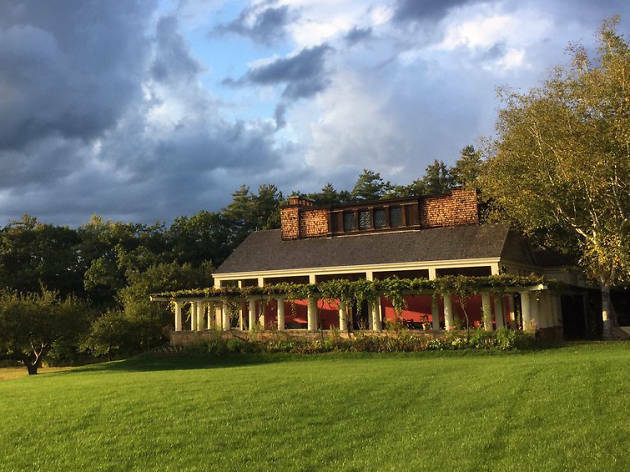 What is it: A national historic site preserving the home and gardens of the renowned sculptor Augustus Saint-Gaudens. Why go: Relatively unknown, this park in Cornish is a quiet place to roam the grounds and view replicas of some of Beaux-Arts sculptor’s most important works. Learn about Saint-Gaudens’s life and legacy, walk nature trails, or take a sculpture class. In the summer, the site hosts outdoor concerts on the grounds. 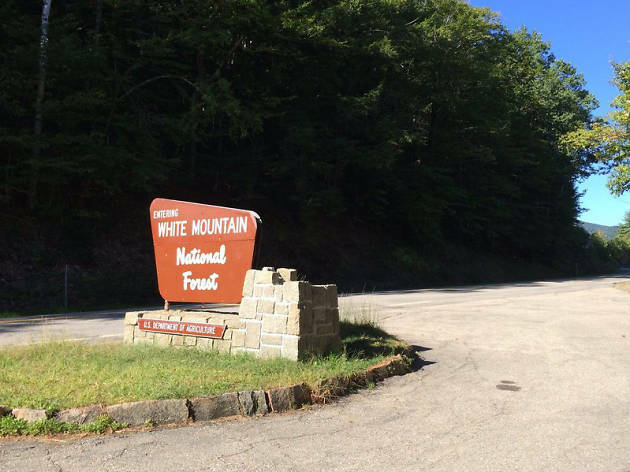 What is it: Part of the Appalachian Mountains range, covering about a quarter of New Hampshire and home to fabulous hikes. Why go: Aside from Mt. Washington, the White Mountains include plenty of outdoor activities and some of the best hiking in the Northeast. Choose from easy day hikes or multi-day treks. Either way, you’ll see gorgeous scenery - forests, wildlife, and stunning granite mountain ridges. The Appalachian Mountain Club runs a series of huts for the overnight trekker, and the Lake of the Clouds hut is on many a hiker’s bucket list. What is it: The largest lake in New Hampshire’s Lakes Region, a getaway destination for generations. 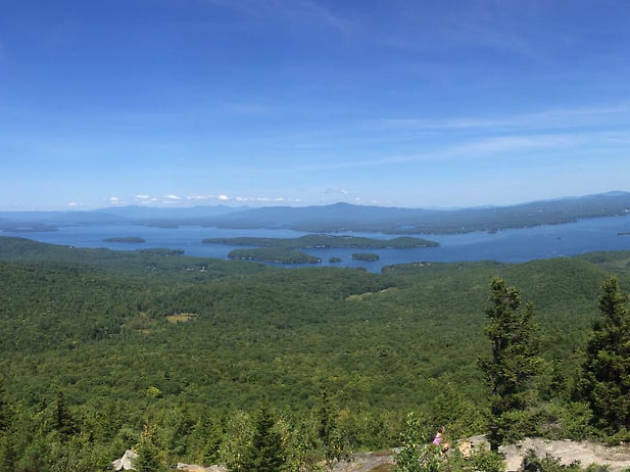 Why go: The drive around Lake Winnipesaukee takes you through seven small towns along nearly 180 miles of beautiful shoreline. Each town is worth a stop, but be sure to check out Meredith, which is home to the Scenic Railway - a great way to explore the region. Find a cozy inn or lakefront cabin, stop in a local cafe for a meal, relax on the quiet shores and listen to nature, and you’ll be worry-free in no time. 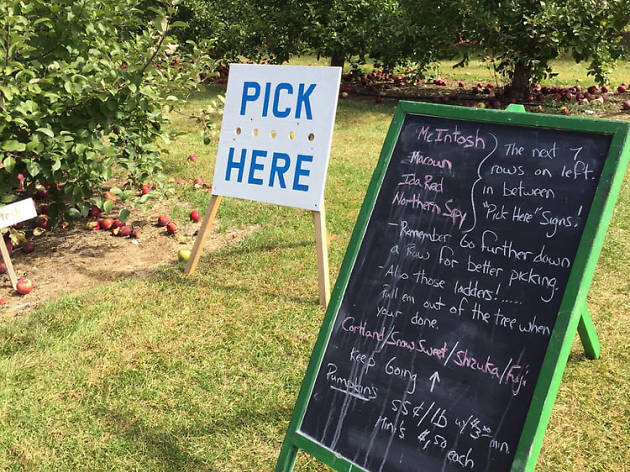 What is it: Family-run, pick-your-own fruit farm in Farmington. 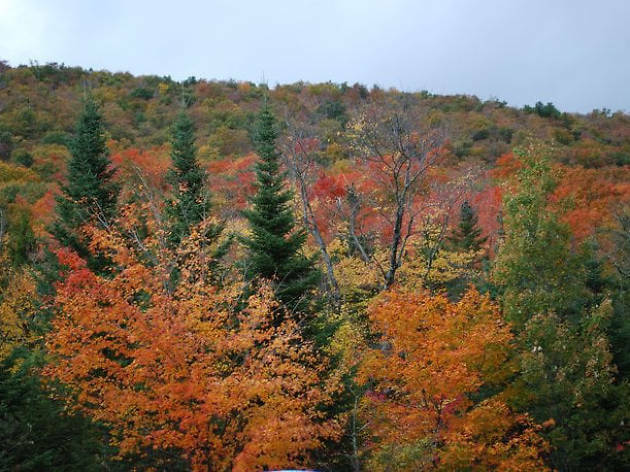 Why Go: New Hampshire is known for apples and apple cider in the fall. Apple picking is a beloved tradition for many families in the area. Many farms grow other fruit throughout the spring and summer months. Butternut Farm is a popular destination to pick strawberries, cherries, blueberries, raspberries, pumpkins, and of course apples. Don’t miss fresh cider and cider doughnuts in their on-site cider house. 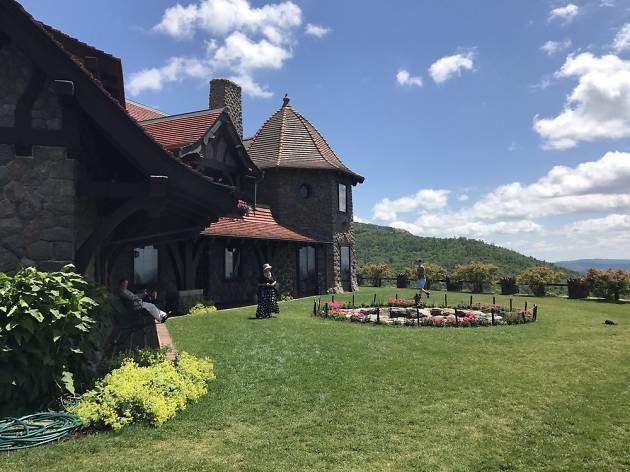 What is it: Gorgeous mansion and mountaintop estate in Moultonborough. Why go: The Lucknow Estate, known as Castle in the Clouds, is open seasonally to the public. It’s an Arts & Crafts-style mansion with sprawling gardens overlooking Lake Winnipessaukee. The drive up the road to the property passes beautiful vistas, and a trolley ride leads to the house. Architecture fans will enjoy the home’s hand-crafted elements. Period furnishings decorate the house, and an art gallery features a rotation of works. Dine at the Carriage House Restaurant and stroll the trails that lead around the property and into the mountains. What is it: Budweiser’s Northeast location, home to a Clydesdale stable and training facility. 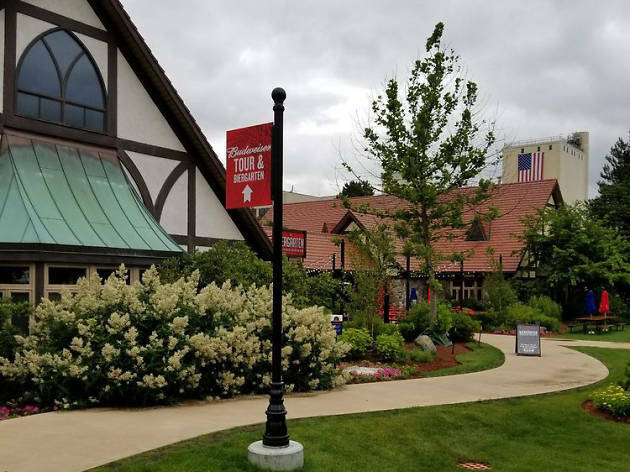 Why go: Located in the picturesque countryside of Merrimack, this location of Budweiser’s operations is essential to its Northeast distribution. A basic tour and an expanded “Beermaster” tour are offered five days a week. But regardless of your thoughts on beer, you’ll definitely want to say hi to the Clydesdales in their stables. These impressive horses are huge but gentle, and unless you have a few too many Buds, it’s an experience you’ll definitely remember. The horses are on site every day, but for an even closer close-up with the Clydesdales, consider visiting on Clydesdale Camera Day, held the first Saturday of each month. What is it: An archaeological site in Salem consisting of mysterious man-made rock and stone structures. Why go: No one knows who built these strange rock structures arranged in an astronomically accurate fashion. 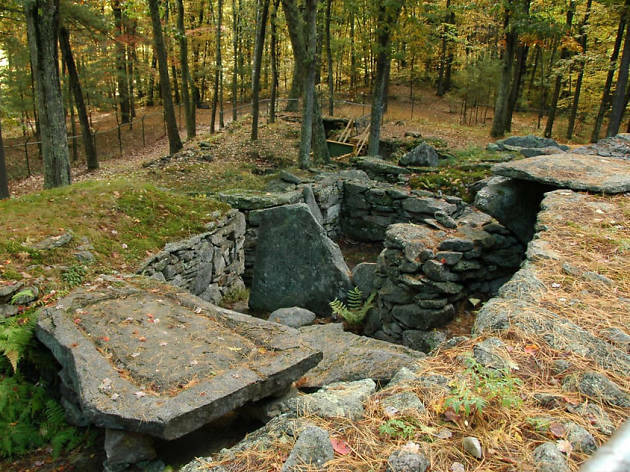 At more than 4,000 years old, they may even be the oldest man-made structures in the U.S. Follow the half-mile trail to explore. The site is even open for winter exploration, with snowshoe rentals available. Keep an eye out for the curious creatures roaming the property - those are the alpacas that call America’s Stonehenge home. What is it: America’s oldest - and some say most prestigious - craft fair, held annually in Newbury. Why go: This nine-day event features traditional and contemporary crafts. 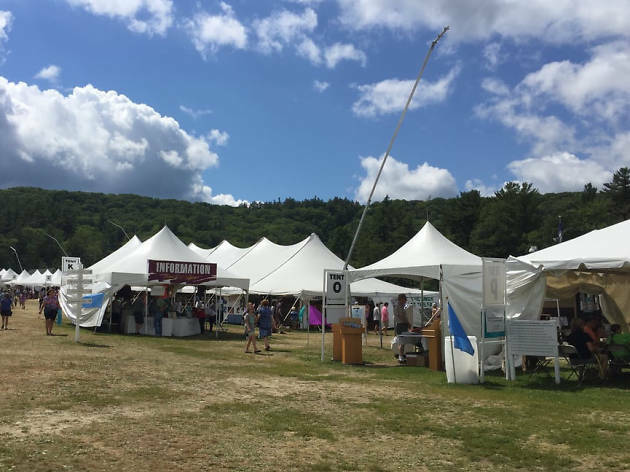 More than 300 juried craftspeople display and sell their wares - fiber, clay, glass, metal, wood, printmaking, and more - in individual booths. The festival also features live demos, hands-on workshops, live music, a beer and wine garden, children’s workshops, and a sculpture garden. You’ll be impressed with the quality of the crafts, and might even come away with a new skill or the inspiration to create. 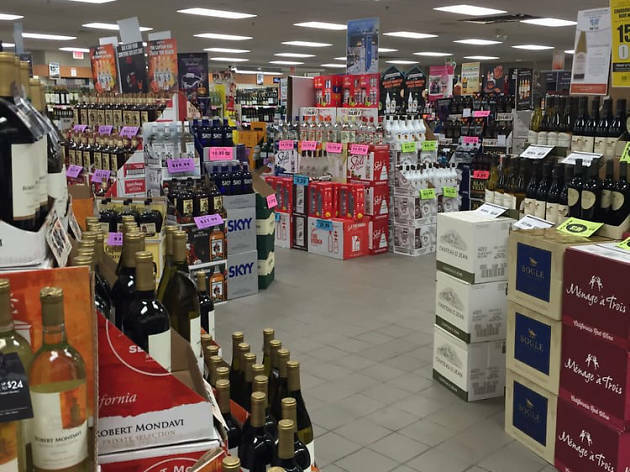 What is it: Massive, tax-free liquor and wine store. Why Go: New Hampshire's state-run liquor stores are beloved local attractions in their own right. These warehouse-style spaces along the highways sell a huge variety of booze and wine at rock-bottom prices with no sales tax. They’re the best places in the state to stock up for a party or a weekend getaway, and a great place to buy NH-made gifts too.